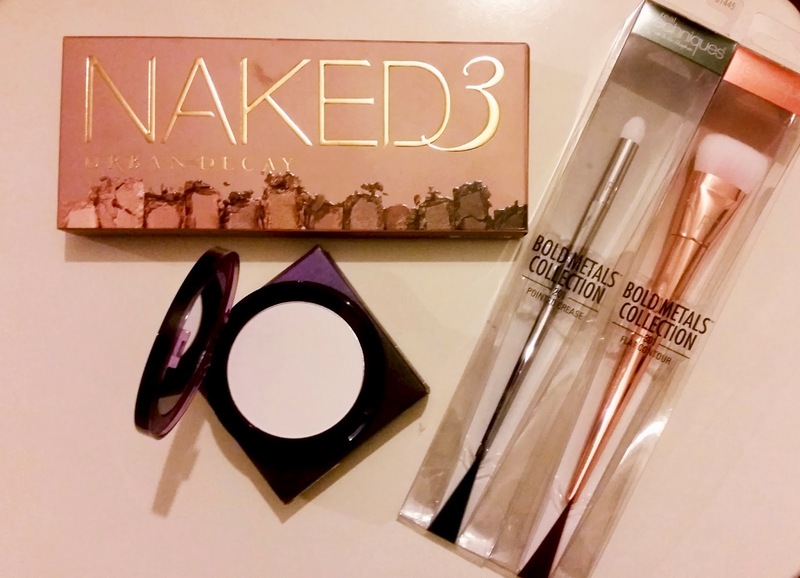 Whenever I'm shopping and beauty products catch my eye, sometimes I can't resist the urge and just have to purchase them! These are a few of the products I've bought over the past month and definitely deserve a post, they've quickly crawled into my must have make up products! 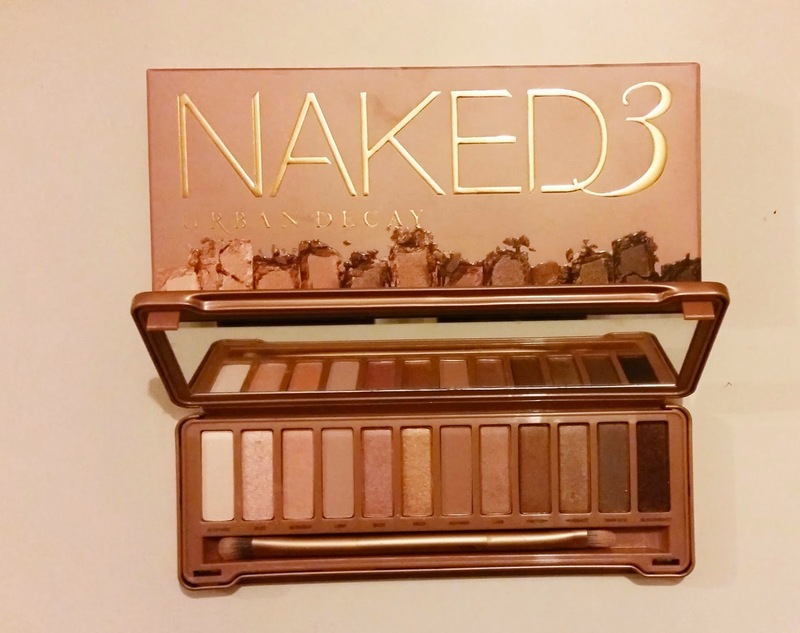 Urban Decay Naked 3 Palette - I'm new to this whole naked palette, I've always been to in love with my Too Faced and Stila palettes that I just never thought to get one! That's until I seen this one.. I love natural eye colours but this palette I find different to the usual brown and nudes you normally find! A lot of the lighter colours have a pink undertone and they blend together lovely, especially using the shimmer and matte shades together, they look really pretty. I've used this most days in January and I can't believe I never purchased this sooner. 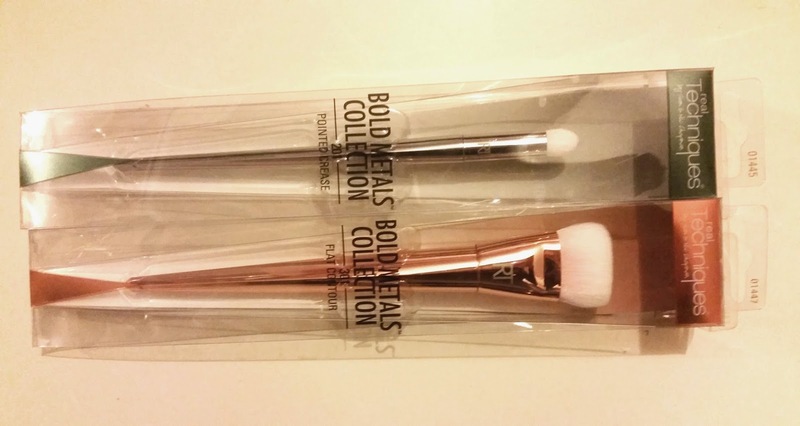 Real Techniques Bold Metals - As soon as I heard about these brushes coming out, I constantly had my eyes open for them, particularly because of the metallic packaging (they make my dresser look extra pretty!) I picked up the flat contour and pointed crease brushes as these were what I really wanted to add to my brush collection, I NEEDED them all to be honest but I settled with just the two to try first because they are a little on the pricey side. I've got to say they are worth the money, the quality of the brushes are beautiful, I am a huge fan of real techniques brushes but even more so now, I will definitely be adding more of these to my collection, that's for sure! 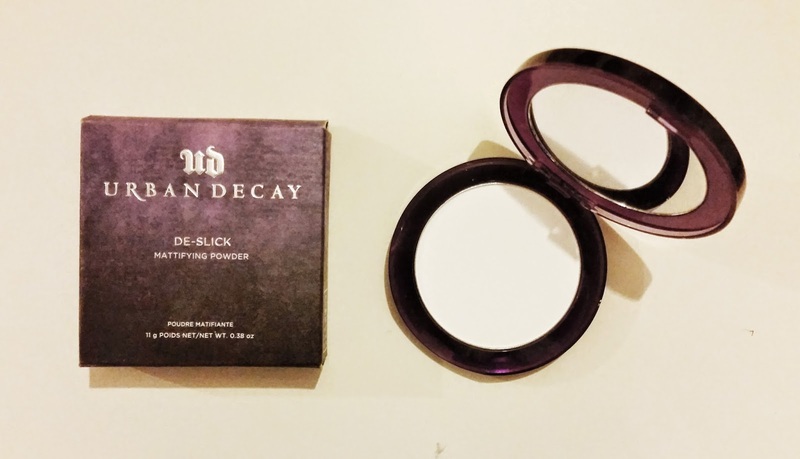 Urban Decay De-Slick Mattifying Powder - As you probably already now, I think I might have mentioned it one...or five times, that I have oily skin and sometimes a girl needs a little mattifying in her life! I'm always after a new powder which I can use to touch up through the day and take away that shine, so I was super happy when I heard about this product (I don't know how I haven't known about this sooner, think I have been living under a rock!). It is just a very light weight translucent powder and takes away all the oils on your skin, leaving you feeling shine free for hours! It also doesn't feel cakey or heavy on the skin which I love, I hate to feel like I'm adding layers to the skin when I apply a powder so I am really pleased I've found this and I've got to address the cute packaging, always a plus! Hope you enjoyed this little post, I've been really happy with my purchases the last month!